Located in the town of Loay on the southeastern coast of Bohol some 18 kilometers from Tagbilaran city. It was erected in 1796 to serve as a spying point to Muslim invaders who used to attack the coastal towns of Bohol. It is built of stone and patterned after a Spanish fortress. 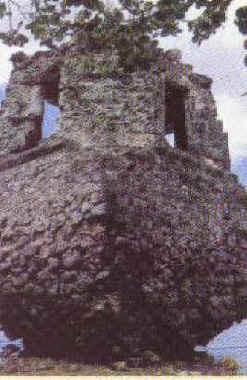 Similar of such kind of watch tower can also be seen in some coastal areas of Bohol like the Punta Cruz in Maribojoc and also in some of its islands such as the one in Pamilacan island. They too were built for the same purpose.